If you’re concerned about your carbon footprint, emission level is a key issue. The clean-styled Di Lusso R4 incorporates our signature CleanBurn technology, designed to satisfy the most rigorous European criteria. 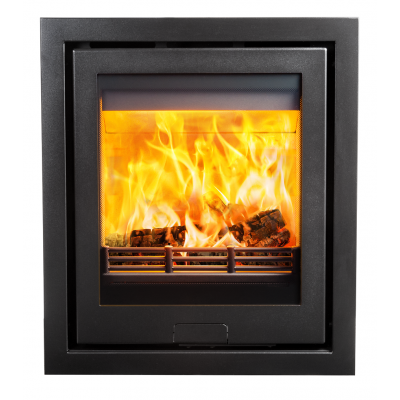 With a nominal output of 4.9kW (up to 6.5kW) and efficiency of 79%, it’s one of the market’s best performing stoves. 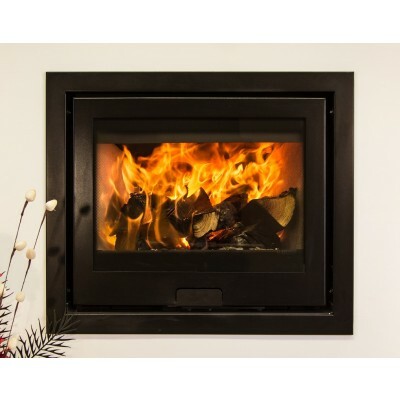 Because smoke levels are so minimal (0.2X), it’s even approved under the Clean Air Act (DEFRA) – giving you utmost environmental peace of mind. Just as the espresso machine is the beating heart of the Italian kitchen, the Di Lusso R5 is the heart of your living room. It’s an investment that gives generous returns in comfort. An Italian would never choose an appliance that lacked in style – but the R5 ticks every box. This midsized model is perfect for family homes and sociable gatherings. With a big capacity and powerful output of up to 12kW (at an average of 4.9kW), the R6 is a hard worker. 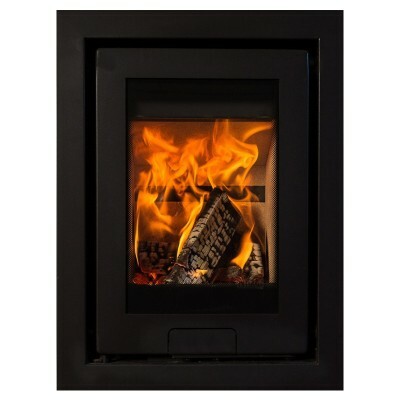 It’s designed to be mounted at least 56cm up from hearth level, and can be used with wood or other solid fuels (with kit). Boasting the signature Di Lusso good looks and a choice of finishes, the R6 is the perfect combination of form and function.